John Lincoln “Jack” Gleason died Aug. 15, 2018. He had bone marrow cancer for three years and died from renal complications. 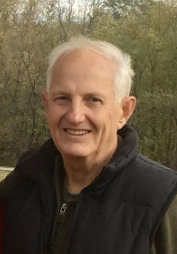 He is survived by his wife, Jan: son, Jeffrey of San Francisco, Calif.; daughter and son-in-law, Wren and David Hayes, of Exeter, N.H.; grandchildren: Tanager and Bower Hayes; his siblings: Sandra Green of Ashville, N.Y., Kristine Gleason of Findley Lake, N.Y. and Karen and Larry Burnett of Columbus, Ind. Jack was born in Westfield, N.Y., on Dec. 2, 1943. He was predeceased by his sister, Shirley K. Gleason; and his parents, John S. and Dorothy C. Gleason. He graduated from Chautauqua Central School, earned a Bachelor of Science at Cornell University, a Doctor of Veterinary Medicine from Cornell University, and completed an internship at the Animal Medical Center, Manhattan, N.Y. He owned and operated the Amherst Animal Hospital in Amherst, N.H. The joys of his life were his family and practicing veterinary medicine. He had a profound interest in nature, especially plant and tree life. He served on the Amherst Conservation Commission for nine years, the NH Co-operative Extension’s Continuing Education Committee for 10 years, The NH Board of Veterinary Medicine for five years, the Board of NH Audubon Chapter in Nashua, and was the steward of the Ponemah Bog Sanctuary, where he loved to give guided tours. He was Audubon’s Volunteer of the Year. He was a Master Gardener and a Natural Resource Steward with UNH, and enjoyed all types of gardening at his home. His passion for life and his sense of humor will always be remembered by his family, colleagues, employees, and friends. A private family burial was held. In lieu of flowers, if you wish, a donation can be made to the Dana Farber Cancer Institute, 450 Brookline Ave., Boston, MA 02115, or NH Audubon Society, 84 Silk Farm Rd, Concord NH 03301.